In this faithful, unsentimental dramatization of the first part of the beloved classic, Marilla Cuthbert and her brother Matthew request an orphan boy to help work their farm. They are mistakenly sent the high-spirited, red-head named Anne Shirley. Knowing they are ill-equipped to raise a child, Marilla attempts to send Anne back to the orphanage. With Matthew lobbying to keep Anne, Marilla ultimately agrees to let her stay at Green Gables. 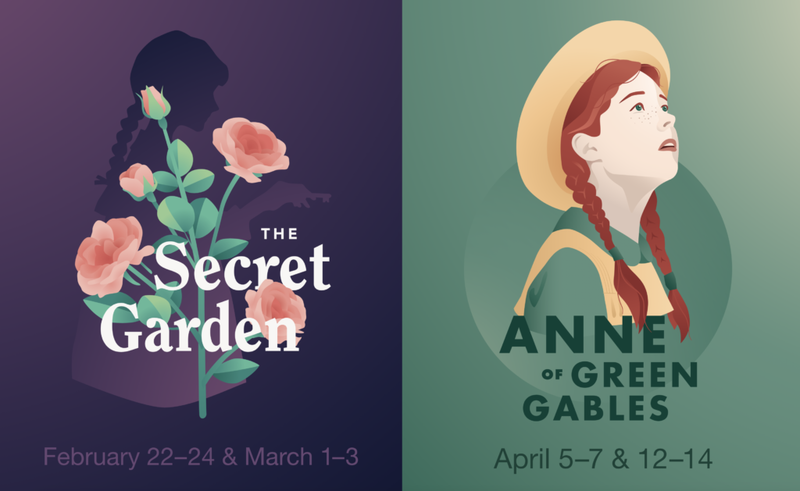 Though the trials and tribulations Marilla fears come to pass, Anne also turns out to be bright, charming, resourceful and full of irresistible imagination. Marilla and Matthew admit she is the best thing that ever happened to them, and Anne comes to understand she is a loved, worthwhile person. Auditions for both productions will take place Dec. 1 & 2. Please sign up for an audition slot HERE and plan to arrive 15 minutes before your selected time. Each person auditioning is required to bring a resume with headshot and should prepare a one minute monologue and 16 bars of music. If you are unable to attend, send a video audition to our Director of Theatre Operations, Cordell Huyard, at cordell@cavod.org. The below age ranges are guidelines only. LILY – Female, 28-38 (Range: Soprano, Bb3-D6) Mary’s aunt and Archibald Craven’s wife. Died of a tragic accident within her garden and metaphorically haunts the walls of Misselthwaite Manor. MARY LENNOX – Female, 10 (Range: Young Voice, Ab3-D5) A ten year-old girl sent to live with her uncle, Archibald, when her parents die from cholera in India. Quite the curious explorer, and often finding herself in trouble. Stubborn and always fighting for what she believes in. DR. NEVILLE CRAVEN – Male, 35-45 (Range: Baritone, C3-F#4) Archibald’s brother. Trapped by the idea that he is responsible for the caretaking of Colin. Even though he was never loved back by Lily, he is still in love with her. This adds to his unwillingness to move on and leave Misselthwaite. MARTHA – Female, 18-30 (Range: Mezzo-Soprano Belt, G3-D5) A faithful housemaid. Grew up near Yorkshire and has the accent to prove it. Although she is from a lower class family, her wisdom is often far beyond her age. ARCHIBALD CRAVEN – Male, 35-45 (Range: Baritone, C3-A4) Mary’s uncle and lord of Misselthwaite Manor. He has a hunch-back. Haunted by the past and afraid of the future, he locks himself away both physically and mentally. Mary painfully reminds him too much of his wife, Lily, who died ten years ago. DICKON – Male, 16-25 (Range: Tenor, D3-G4) Martha’s younger brother. Looks after the sick plants and animals within the Misselthwaite grounds—including Mary. He is a young man who is between the world of child imagination and adult reasoning. Befriends Mary and convinces her to take care of the Garden. COLIN CRAVEN – Male, 10 (Range: Young Voice, A3-E5) Archibald’s ten year-old son. Spent his life in bed due to a heart condition. He is very stubborn and throws temper tantrums to get what he wants. He believes his father hates him for causing Lily’s death. MRS. WINTHROP – Female, Age Flexible (Range: Ensemble/Part Flexible) Headmistress of a private school. Prides herself on nurturing girls with tempers. Mary seems to be more than she can handle. ROSE LENNOX – Female, 28-38 (Range: Soprano, A3-D6) Mary’s mother. A “dreamer” from the past who doesn’t understand how her sister Lily could truly love Archibald. Very loyal to her husband and refuses to leave India during the cholera outbreak that takes her life. CAPTAIN ALBERT LENNOX – Male, 30-40 (Range: Tenor, D3-A5) Mary’s father. Tries to send Rose out of India during the cholera outbreak. ALICE – Female, Age Flexible (Range: Ensemble/Part Flexible) Rose’s friend. LIEUTENANT WRIGHT – Male, Age Flexible (Range: Ensemble/Part Flexible) Officer in Mary’s father’s unit. LIEUTENANT SHAW – Male, Age Flexible (Range: Ensemble/Part Flexible) Fellow officer. MAJOR SHELLEY – Male, Age Flexible (Range: Ensemble/Part Flexible) Officer. MRS. SHELLEY – Female, Age Flexible (Range: Ensemble/Part Flexible) Major Shelley’s wife. MAJOR HOLMES – Male, Age Flexible (Range: Ensemble/Part Flexible) Officer. CLAIRE HOLMES – Female, Age Flexible (Range: Ensemble/Part Flexible) Major Holmes’ wife. FAKIR – Male, Age Flexible (Range: Tenor, C3-B4) Itinerant Hindu ascetic. AYAH – Female, Age Flexible (Range: Ensemble/Part Flexible) Mary’s Indian nanny. 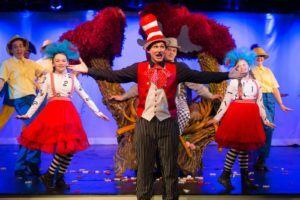 For information regarding auditions for our live theatre productions, please contact meredith@cavod.org.